Toilet malfunctions can get messy if left unfixed. Common toilet problems that can test your sanity include: constant running (which can waste gallons of water), poor or failure to flush, clogging, sweating, and leakages. Spartan Plumbing, Heat & Air Conditioning has an experienced and dedicated team of plumbers and the tools needed to offer exemplary plumbing services throughout Washington DC and parts of Maryland. We handle all toilet repairs, including installations and replacements. For services or repair work you can schedule an appointment here. For Emergency Services call us at 800-882-0194. You can tell if there are toilet leaks if you hear continuous running water or faint hissing and trickling sounds. At times, it can be difficult to identify the source of the leak. The remedy for the leakage is sometimes a toilet reseating. 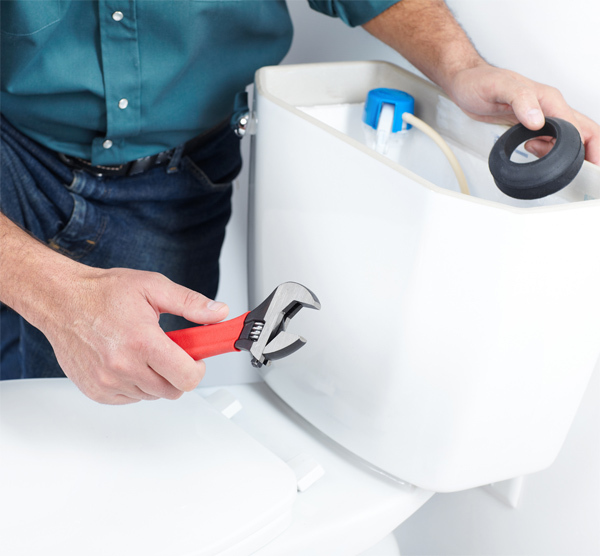 There is a process to reseating a toilet correctly and our trained professionals can handle this problem quickly. If your toilet has become unstable, the loose mountings are to blame. Mounting bolts hold the toilet in position by securing it tightly onto the toilet flange. This type of issue could be a result of loose or broken flange bolts or the flange itself. A professional can assess the proper repair for this type of situation. A loose handle or running toilet are also common problems we come a crossed. Spartan can tackle all of these toilet issues. Contact Us today or Schedule Service! In most cases, a simple repair is all that is needed to get a dysfunctional toilet working again. However, your toilet may be worn out or damaged to a level where repairs aren’t viable, necessitating the need for replacement. Replacing a toilet due to damage doesn’t take much time because the supply and waste pipes are already in place. If you’re using an old toilet model, then you might need to replace it with a new model. Old toilet models are notorious for consuming more water with a single flush. Imagine how much water gets wasted in a family of four! Newer toilet models are more efficient because they use less than half the water. Spartan Plumbing, Heating & Air Conditioning has a skilled plumbing crew that will tackle any toilet replacement job. We’ll offer advice on the best model so you can conserve water and save money. Schedule Service Today! Sometimes a new toilet installation is needed. This is typically when the homeowner has removed the old toilet, an addition or renovation has taken place and a new toilet needs added or during new home construction. Spartan can tackle all of these new toilet installation situations. With a new toilet installation, we may need to work on existing plumbing or install new plumbing to ensure a proper installation. When installing a toilet, three types of pipes are laid. There’s the water supply piping which terminates at the tank shut-off valve. A waste line pipe then connects to the sewer system through a vertical waste stack while a closet flange ties it to the toilet. The waste line has to be vented to complete the installation. Our team of experts can tackle a wide range of new toilet installation jobs. Leave it to the Spartan crew! Are you experiencing any troubles with your toilet? We have highly trained experts that can tackle any situation. We’re dedicated to offering the best toilet services to the residents of Maryland and Washington DC. Contact Us for additional information. If you’re ready to resolve your problem, Schedule Service today.